The European Commission published a Notice to Stakeholders regarding the United Kingdom’s exit from the EU. 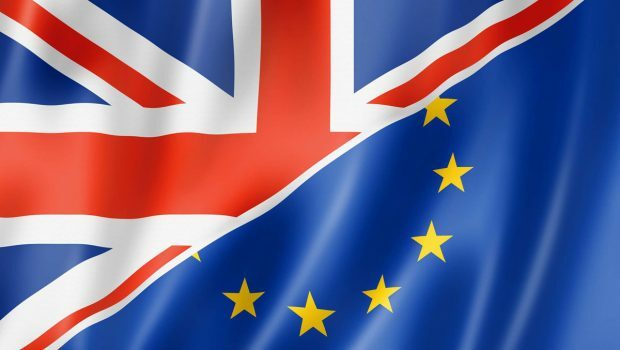 The document details what affect Brexit will have on aviation certificates, licences, and approvals from 30 March 2019, unless a deal is done between the UK and the EU. The European Commission write that the UK will become a “third country” with regard to EASA. This means that the UK will no longer be an EASA Member State; so UK (G) registered aircraft will be treated the same as US (N) registered aircraft, for example. While EU airlines may lose the right to operate to or from the UK, and vice versa, Brexit will also affect private pilots, engineers, aircraft, maintenance organisation, design organisations, Continuing Airworthiness Management Organisations (CAMOs), and producers of aircraft parts, to name just a few. The Notice warns that any pilot licence issued by the UK will not be valid in the EU after March 2019. It also states that Medical Certificates issued by the competent authorities of the UK will not be accepted as validating a Part FCL pilot licence. This is irrespective of the State of issue of the licence. 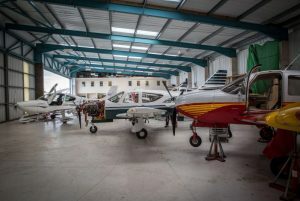 According to the Notice, any certificate issued by the UK relating to EASA aircraft will become invalid on 30 March 2019. This includes Certificates of Airworthiness; which must be replaced by a UK national Certificate of Airworthiness to allow the aircraft fly beyond that date. It also states that approvals issued to maintenance organisations and CAMOs will become invalid. The Notice further elaborates that parts certified by a UK approved organisation/person, but not yet installed on an aircraft, may become unacceptable for installation on an EU aircraft. How will this affect General Aviation in Ireland? Pilots flying in Ireland should read the European Commission’s document and consider if or how Brexit will affect them. Early action may prevent you being grounded on 30 March 2019. It is likely that Authorities, maintenance organisations, training organisations and CAMOs which remain EU approved will see an influx of customers, which could cause delays. Pilots with UK (G) registered aircraft may have to get UK national (non-EASA) certificates for their aircraft, or register it in an EU Member State. Holders of UK issued Part FCL pilot licences may have to convert their licences to one issued by an EU Member State, especially if they fly EU registered aircraft. Holders of a UK issued Medical Certificate may have to replace their Medical Certificate with one issued in an EU Member State. Owners of aircraft with contracts with a UK approved Licenced Aircraft Maintenance Engineer, Maintenance Organisation, or CAMO, should review their situation to see if the contractor will become EU approved, or if they need to find a new contractor. 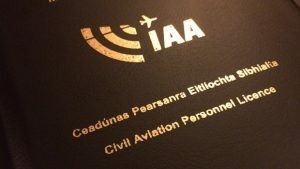 Air Operators, Approved Training Organisations, Declared Training Organisations, and operators flying Specialised Operations, using UK registered aircraft or UK licenced pilots may have to transfer those certificates/licences to an EU Member State or apply for Third Country approval from the EU to continue. 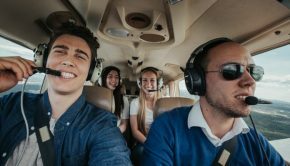 Student pilots, air traffic controllers, and engineers, who will not qualify before 30 March 2019, may find that training or examinations conducted under a UK approved organisation will not be recognised for the issuance of an EASA qualification. This may also be true for On the Job Training provided by a UK approved maintenance organisation, and Flight Simulator time. Students should consider their options and possibly transfer training organisations or qualify before 30 March 2019. 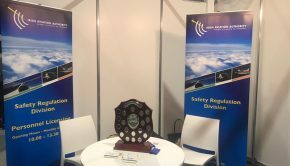 Pilots or Engineers training for additional licence ratings or endorsements using UK approved organisations or examiners, who will not complete the training before 30 March 2019, may find that the training or examinations will not be recognised for inclusion on their EU licence. Maintenance Organisations maintaining UK registered aircraft will have to implement supplementary procedures to release UK registered aircraft to service. Maintenance Organisations with UK certified parts in stock, may find that they’re not suitable for installation on EU registered aircraft post-Brexit. CAMOs managing UK registered aircraft may have to apply for UK approval to continue meeting the needs of their customers. Aerodromes using UK licenced Air Traffic Controllers will have to ensure the controllers’ licences are issued by an EU Member State. Aircraft owners applying for approval for any modification using a UK approved design organisation will have to consider applying through another design organisation unless the design approval will be granted before 30 March 2019. Post Brexit, it is likely that UK registered Annex II aircraft (non-EASA aircraft) operating on a Permit to Fly such as Homebuilt aircraft, microlights, powered parachutes, and vintage aircraft will be unaffected. National Private Pilot Licences (NPPL) should also remain unaffected. It is unknown what kind of a Brexit will happen. 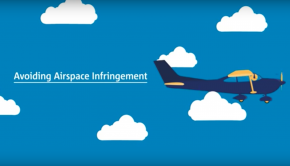 There may be many more changes to flight planning, airspace, and customs. This European Commission document gives an indication to the General Aviation pilot as to what they should be thinking about to be prepared for a no-deal Brexit.